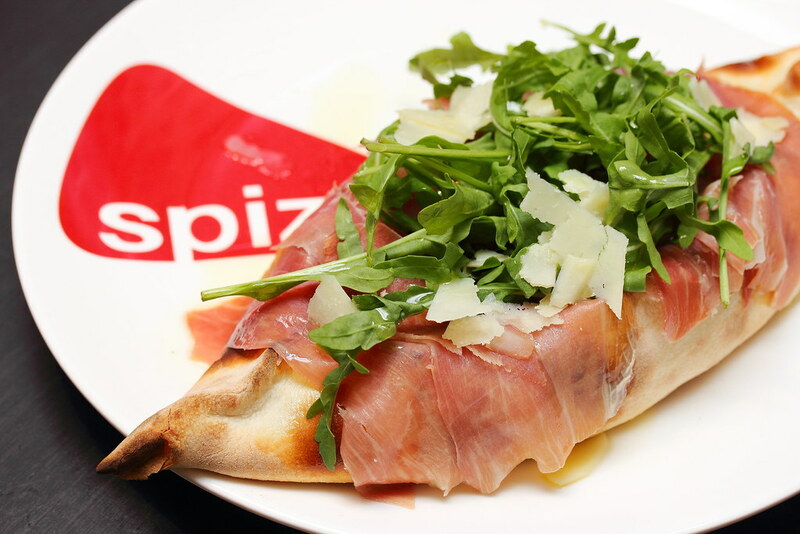 Spizza Mercato, a new concept by The Senso Group, is located at the basement of Capitol Piazza. If you have been to Italy, you should have been to a “Mercato” before – the marketplaces typically found near fountains in piazzas all across Italy. I’m not sure whether it is by chance, Spizza Mercato is found to be just right beside a fountain. How apt. 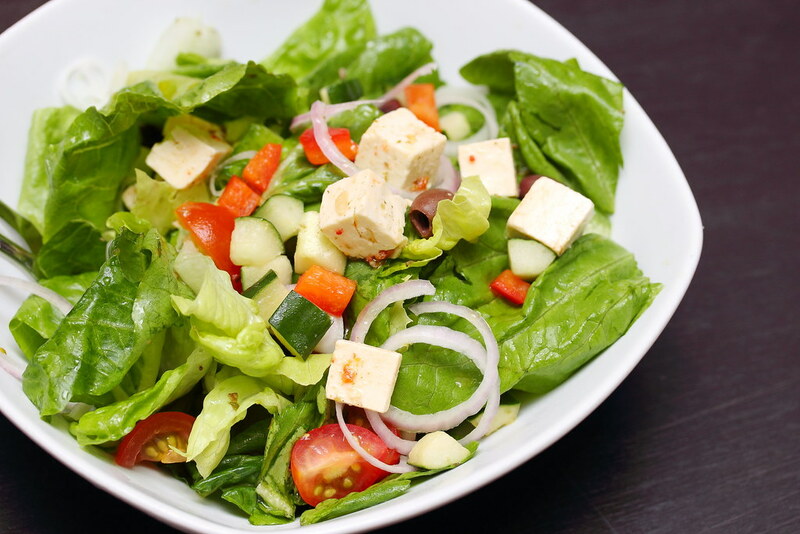 Unlike the usual Spizza outlets, this restaurant comprises a retail section which offers gourmet products and kitchenware. While waiting for our food to come, I eagerly hop over to take a look (I have a thing with kitchenware!). With the pretty looking crockery, pots and pans, I fall in love with this corner instantly. It jazzes up the ambience by a notch. The shelf has almost of what you need to cook an authentic Italian fare. 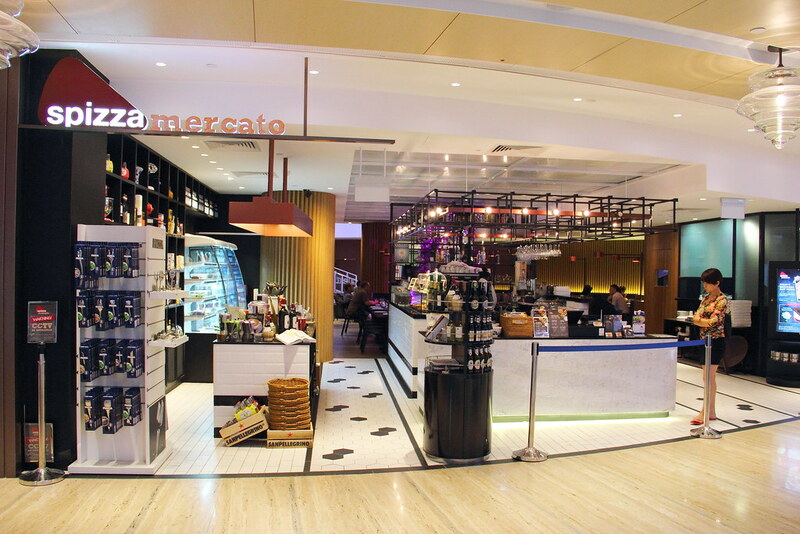 For a start, you can try recreating Spizza Mercato’s dishes by using some of their ingredients such as pastas, flour and pre-packaged sauces and soups. Cooking utensils are available as well, including individual pizza ovens! Wine and coffee lovers can choose from their Italian Wine selections or bring home Illy coffee pods. For antipasto, we had the Burratina ($22) for the evening. 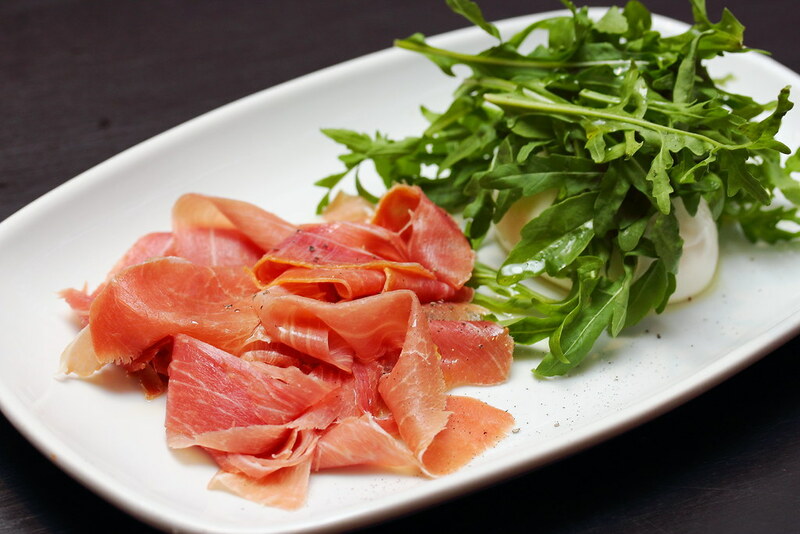 The Italian burratina cheese, imported from Italy, is served with Parma ham and a side of rucola salad. I like this combination. The savoury parma ham and the sharp rucola leaves brings out the milky flavour and creaminess of the cheese really well. Insalata Greca ($12.80) their version of greek salad pales in comparison. It was too ‘airy’ for me. Customers’ needs have been heard in Spizza Merato. Gluten-free pizzas are now readily available. Hooray for many! 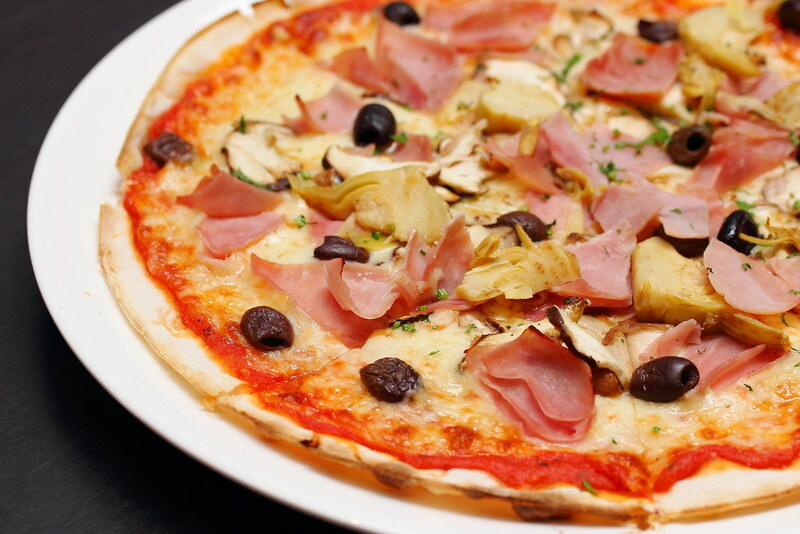 Despite Gluten-free, flavours are not lost in this Donna Pizza ($23). I only wish that the ingredients can be slightly more generous, but thanks to the thin crust, I didn’t feel it was too doughy. Vesus the Donna Pizza, I find the Gondola Isabella ($25), any pizza can be made into the gondola, slightly too doughy. Perhaps it has turned cold by the time I tasted it, the cheese was kinda lumpy when we unravelled the inside. Extremely cheesy, it is meant for cheese lovers. Compared to their pizza, I was more impressed with their pasta offerings. Handmade at the outlet itself, which was unexpected from a chain establishment. Green Spinach ‘TRIANGOLI’ ($18) was a favourite among many tonight. 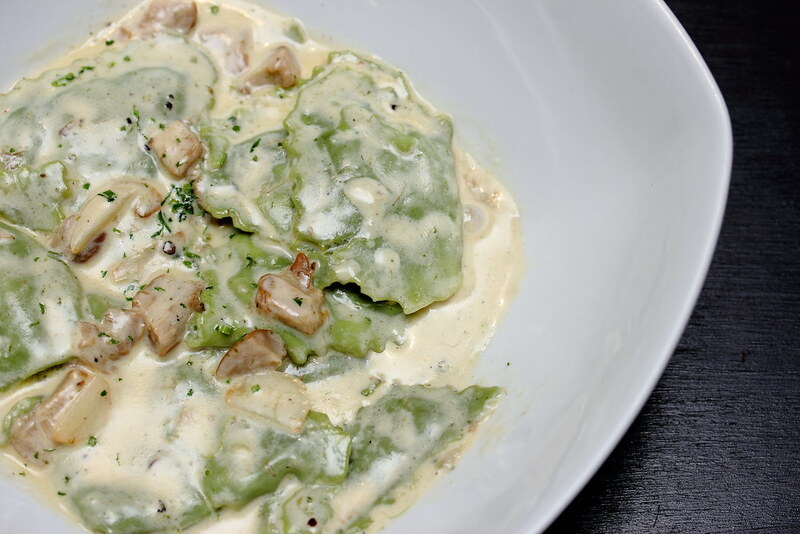 Together with the mushrooms in porcini & cream sauce, you may be surprised how a meatless dish can be so delectable. Each tender little pocket stuffed with spinach. The thought that the flavour of the spinach may be overwhelmed by the sauce, but it isn't. It is not easy to find a good triangoli. Many fail to get the right balance of the dough and stuffing, as well as cooking it to the right bite. 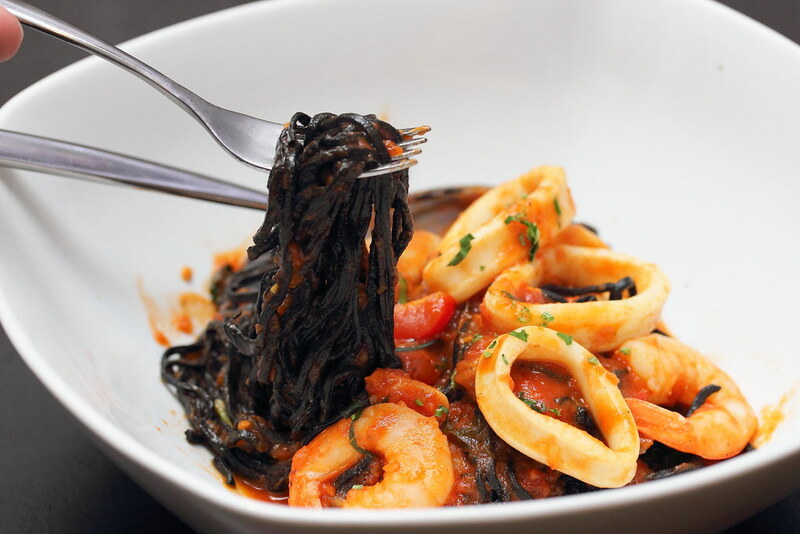 Squid Ink Taglierini ($20) is one of their signatures. Served in homemade Tomato Sauce with a generous portion of seafood, this dish is a must-try. I enjoy the lightness of the taglierini, which also comes with the right bite, firm but not hard. The tangy tomato sauce makes it even more appetising. 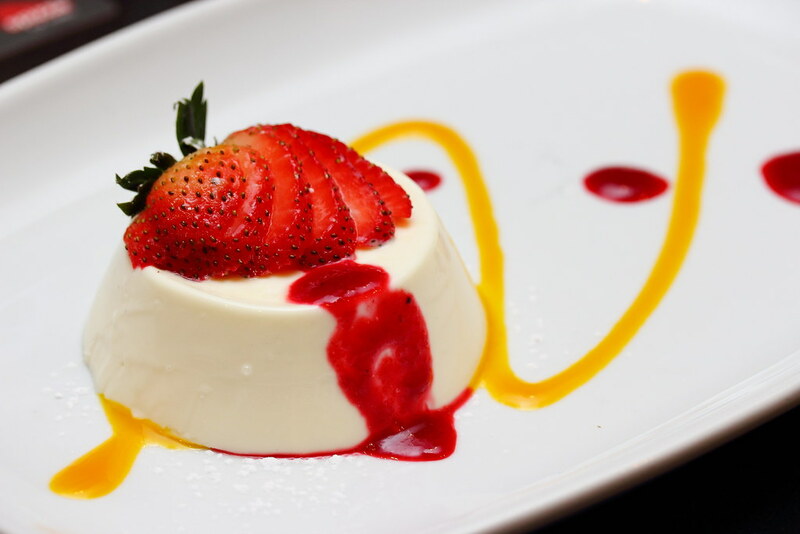 For desserts, we had Panna Cotta ($8) and Lemon Tart ($6.50) I much prefer the Panna Cotta. 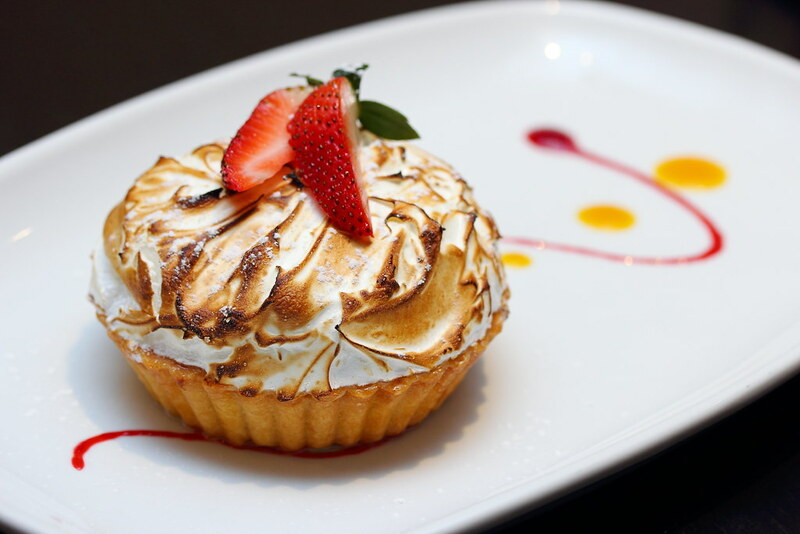 Its sweetness was just nice for me, while I find The Lemon Tart was slightly too cloying. For ladies, I would recommend two to share. For a chain concept, I find their pastas quite exceptional. Its relaxing ambience adds on to the experience too. However, if you still want to have a Spizza’s meal at the comfort of your own home, easy-to-grab food items are available for takeaway or can be pre-ordered via Spizza’s mobile application or website then self-collected.